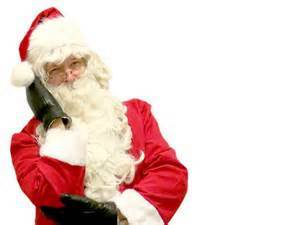 Santa Headquartered at National Autobody Parts Warehouse, Inc. The National Autobody Parts Warehouse, Inc. headquarters in Grand Prairie once again served as the “North Pole” of Grand Prairie, Texas for the Santa Cops. Starting in October, volunteers from the Grand Prairie Police Department and Fire Department worked tirelessly to bring food and toys to families in need in the city Grand Prairie at the Santa Cop and Santa’s Spot. This year, over 500 families received food from the Grand Prairie Fire Department’s Santa’s Spot effort and 1700 children received toys from the Santa Cop efforts, according to volunteer Santa Cop President Heath Wester. National Autobody Parts Warehouse, Inc. has been the home for Santa Cops and Santa Spot for the past three years. Mike Dolabi, President of National Autobody Parts Warehouse, Inc. takes the involvement with the Santa Cop project to heart. “It’s a humbling opportunity to be a part of bringing happiness to the community that supports us. National is honored to be the ‘North Pole’ of Grand Prairie.” said Dolabi. “None of this would be possible without the overwhelming support from the community, businesses, and community leaders in our city. Hundreds of volunteers and hours make this program work from volunteers all over the city. We work very well with our school district and they are a big part of the success. I’m humbled to be part of this program, and my sincere thanks to Mike Dolabi and the entire staff at National for their continued support.” said Officer Wester. Santa Cop and Santa’s Spot toys and food was distributed at eight strategic locations throughout Grand Prairie. Families; recommend by the Grand Prairie Police department, Fire Department, Grand Prairie school counselors, and city departments received post cards earlier this month and are asked come and accept these gifts. With a desire to bring the community together and provide toys for the children of Grand Prairie, volunteers from the Grand Prairie Police Department began the Santa Cop program in 1983. Now, working with the Grand Prairie Fire Department and the Marine Corps Toys for Tots, the Santa Cop and Santa’s Shop program has built a community bridge of support, food, toys and friendship. The giving and community assistance does not stop with Christmas. As the year goes forward and tragedy strikes the Grand Prairie community and its citizens, the volunteers, working with the Grand Prairie Police Chaplin Emil Balliet, the Police Department Victim’s Assistance team and the Fire Department are able to respond with food and items of need to those who experience the unexpected. National Autobody Parts Warehouse, Inc. was honored to provide warehouse space for the Grand Prairie Santa Cop toy drive and the Santa Spot food drive. With 21 years of automotive parts experience and a continued focus on quality, customer service and competitive pricing, National Autobody Parts Warehouse, Inc. distributes automotive aftermarket crash parts throughout the United States. National Autobody Parts Warehouse, Inc. is recognized as a TYC NSF distributor, a Farmers Preferred Parts Provider, ISO 9001 Certified and NSF Distributor Certified. For more information contact Denise Caspersen at (800) 214-7222.